How to Make Running Fun & Exciting as a Beginner! 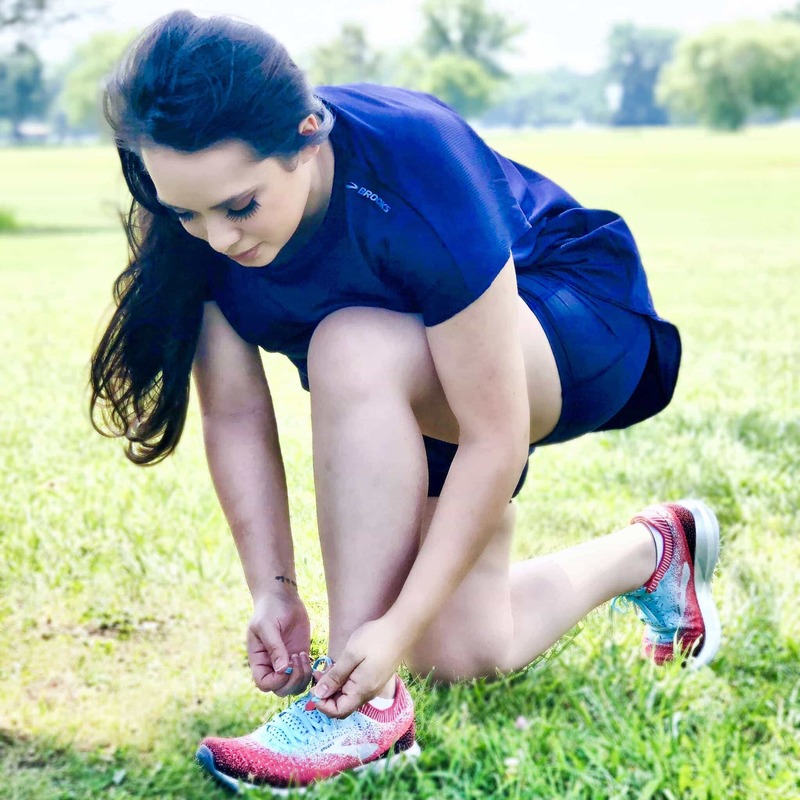 When you first start running, there’s a lot to learn- like how to make running fun and exciting like all of the Instagram pictures. In my opinion, figuring out how to make running fun should be one of the first things you learn. The sooner you have fun doing it, the more likely you are to continue and reap all of the benefits. Shop for fun, but comfortable running shoes: Let’s be honest, how many women love an excuse to shop for new shoes? I would bet most! When running, it’s important to have a super comfortable (and cute) pair of running shoes. I highly recommend the Brooks Levitate 2 Shoes, they are honestly the most comfortable running shoes I have ever tried to date and they look good.They have something called the DNA AMP energized cushioning system and when you run on DNA AMP, it feels super smooth and responsive thanks to its unique construction that allows the shoe to adapt to your gait, weight and stride. They are built for performance and versatility, so you can wear them on a run or at the gym. ==> You can find the Brooks Levitate 2 shoes on the Zappos website. Wear cute clothes that are weather appropriate: Everyone feels better when they wear clothes they love and are comfortable in. There’s just something about feeling put together that boosts your mood and makes you want to get out and be seen (because it’s not every day you dress up!). So cute clothes that are actually good for running will make you want to step out of the house while keeping you cool. The clothes I’m wearing in the picture above are the Brooks Circuit 2 in 1 shorts (amazing for running!) and the Brooks Array Short Sleeve top.P.S: I like to order both my activewear and shoes on Zappos.com because they have a huge range of styles, super fast and free shipping, plus you have 365 days to return anything! Also, they’re customer service is great. Listen to energizing music on your run: Upbeat music just makes you want to move, so it’s exactly what you need on a run! Put together a playlist of your favorite upbeat songs specifically for running. Run outside: Running outside is so much more exciting than running inside. You get to smell nature or city life, you get to enjoy views and you get to feel fresh air. Run with friends: People who have someone to run with at the beginning of their journey tend to stick with it longer. You have someone to help you stay accountable and also someone to entertain you. Try different trails or locations: You’ll get bored if you’re constantly running at the same location, so try to switch it up every now and then. Even if that means driving somewhere a little further, you’ll enjoy the new views and faces. Sign up for a fun marathon: There are so many cool marathons to run these days, from Disney themed to Spartan and alien themed marathons- there is something for everyone. The excitement of dressing up for a theme and then running with a ton of people also dressed on theme is an experience that will definitely give you a runners high. Follow other runners on social media: The running community is all over social media and it’s motivating to see other runners do their thing and share their tips when you log on to your social media accounts. Take a pause to enjoy the outdoors: After your run, have a seat somewhere and enjoy the outdoors. Take a pause and really live in the moment and enjoy your surroundings. The feeling of that alone will make you want to keep getting out for your runs. Log and track your runs: Having a little competition with yourself and trying to beat your best record is always exciting… especially when you smash it! If you have any tips on how to make running fun and exciting, drop them in the comments below!